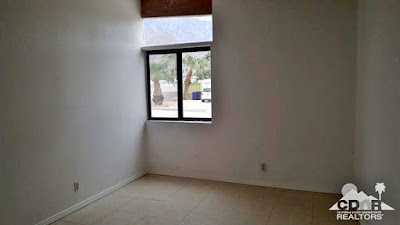 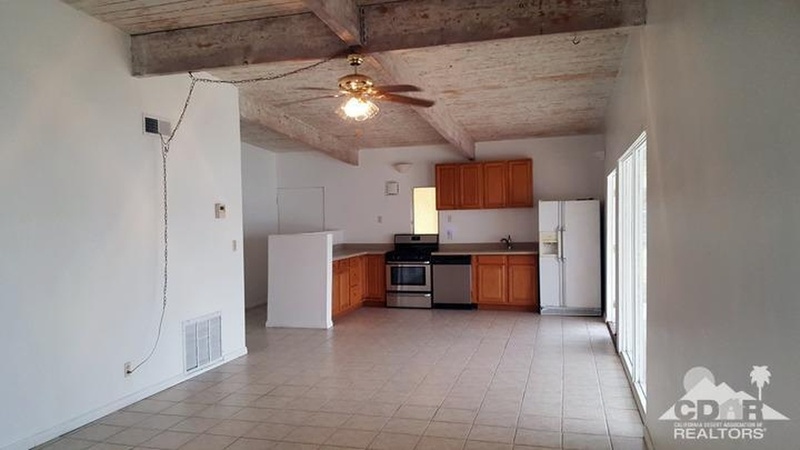 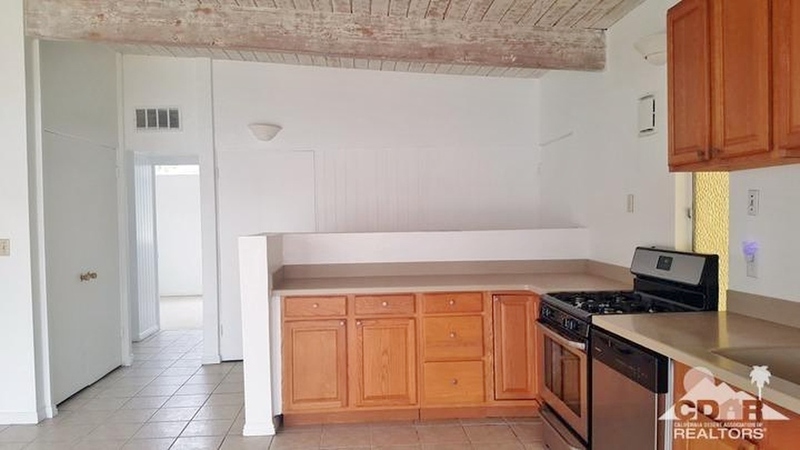 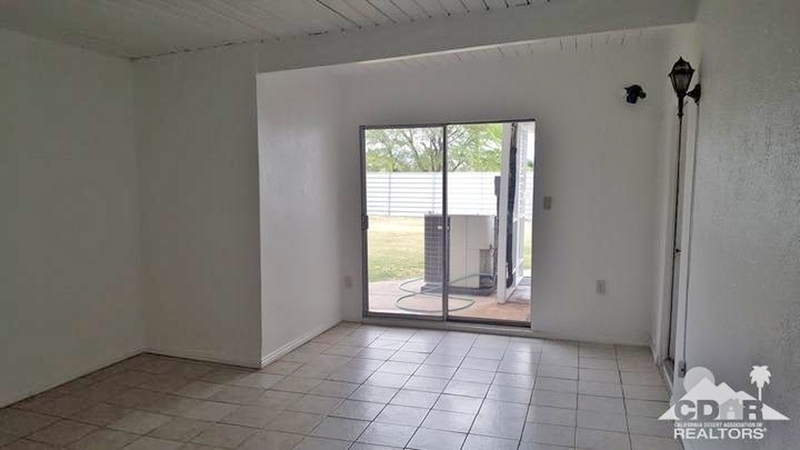 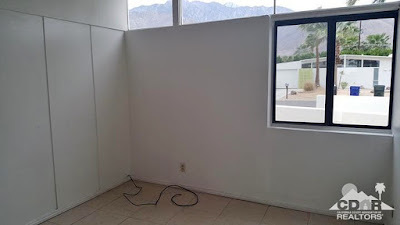 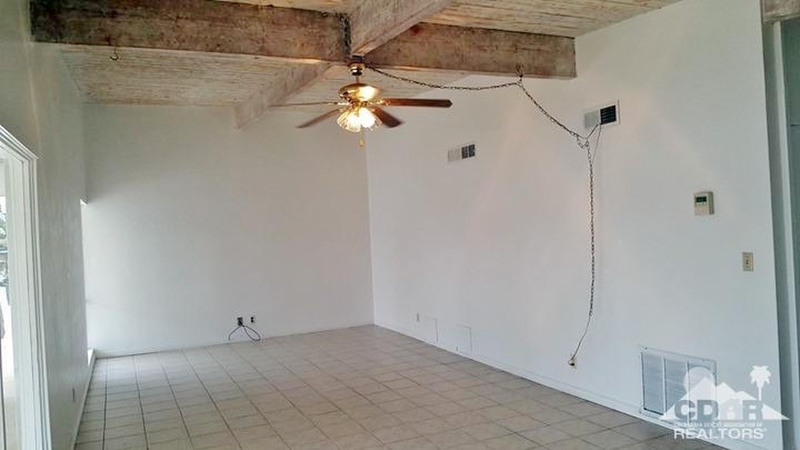 Up for grabs is this blank slate renovation opportunity in Palm Springs’ Racquet Club Road Estates community. Built in 1959 by the Alexander Construction Company, this expanded home includes three bedrooms and two bathrooms in 1,550 square feet, a two car garage all on a 10,000 square-foot lot with an in-ground pool, and carries an asking price of $510,000. 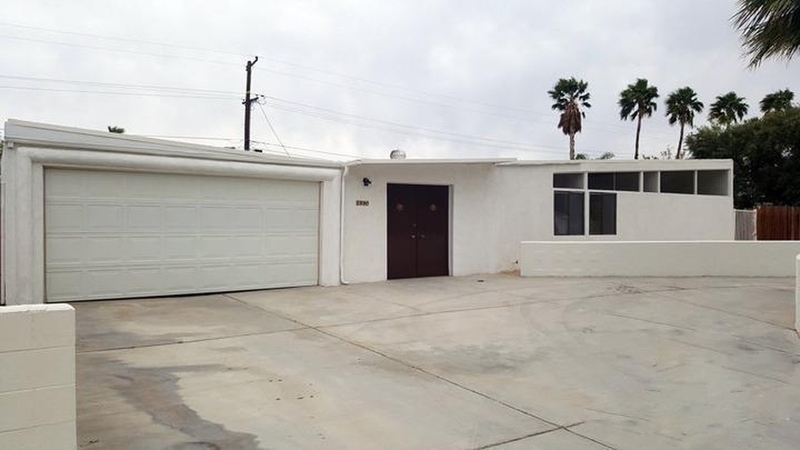 Situated on a west-facing lot, the exterior of the home is a blank slate prime for personalization or a little color. 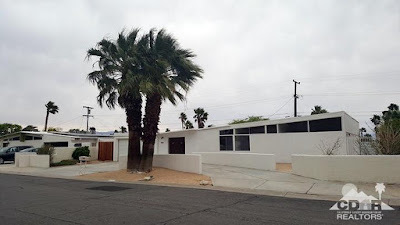 A pair of palm trees sit in front of the home, and small, unconnected walls surround the driveway. 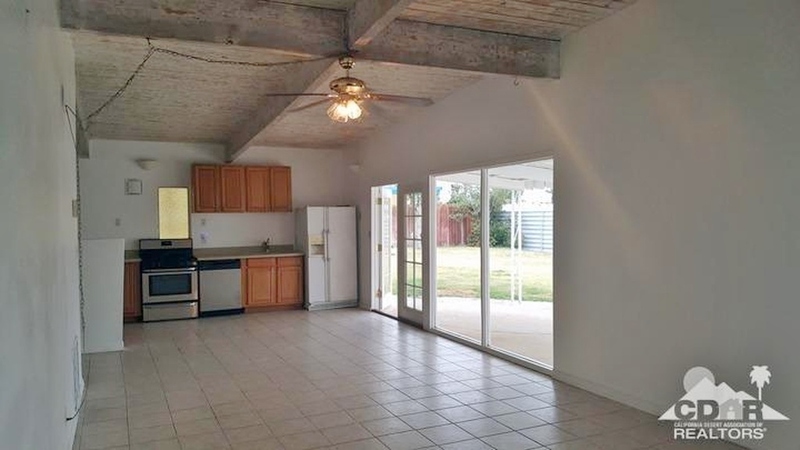 The original two-car carport has been converted to a two-car garage, and the original courtyard that would have sat between the carport and the home has been enclosed and converted to a double-doored entryway. 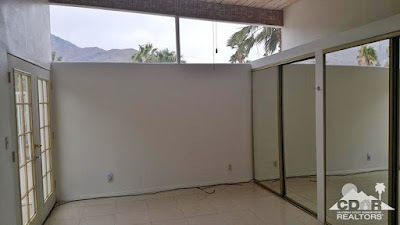 The enclosed entry hall provides a singular east-facing sliding glass door overlooking the backyard, and is otherwise dark. The former outdoor coach light to the garage access door still hangs on the wall, making this room appear even more so as an addition. The kitchen, living and dining are all situated at the rear of the home, while the three bedrooms are along the front. 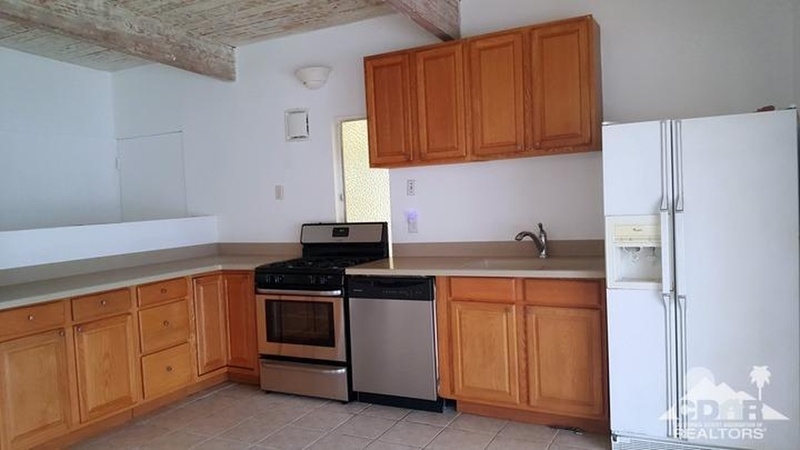 The kitchen has been updated with raised panel oak cabinetry and a mix of white and stainless steel appliances. 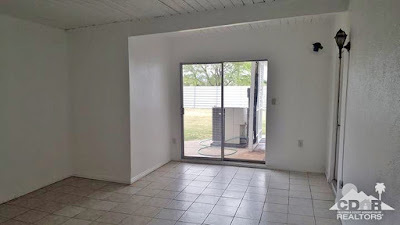 The ¾ height wall between the entry and the kitchen has been reduced to a half-height wall, and the slide-in range has been strangely positioned in front of the original kitchen sliver window. The dining room is open to the kitchen, which is in turn open to the living room. Floor-length windows overlook the backyard, and the original slider has been replaced with French doors. Unlike most of the other homes in Racquet Club Road Estates, this was one of the handful of homes built without a fireplace, allowing for more wall space and furniture placement options. 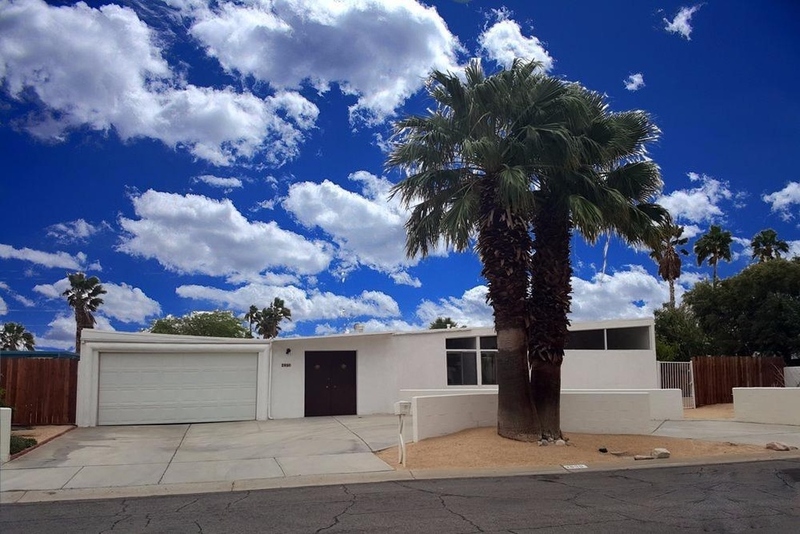 All three bedrooms are in their original configurations, with the secondary bedrooms overlooking the front yard, and the master facing the southern side yard. All three bedrooms feature west-facing clerestory windows offering fantastic views of Mt. 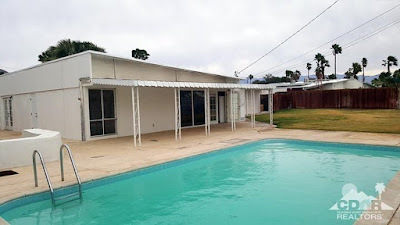 San Jacinto. 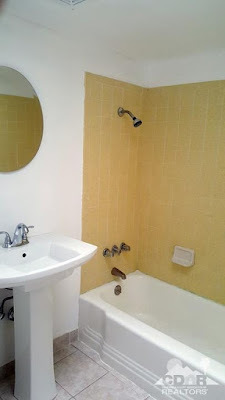 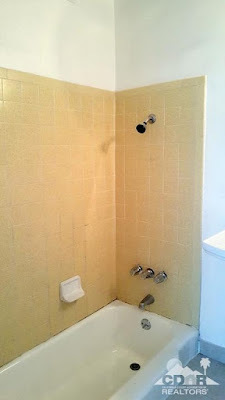 Both bathrooms feature their original tubs and yellow tile surrounds, with the master featuring its original sunken tub. 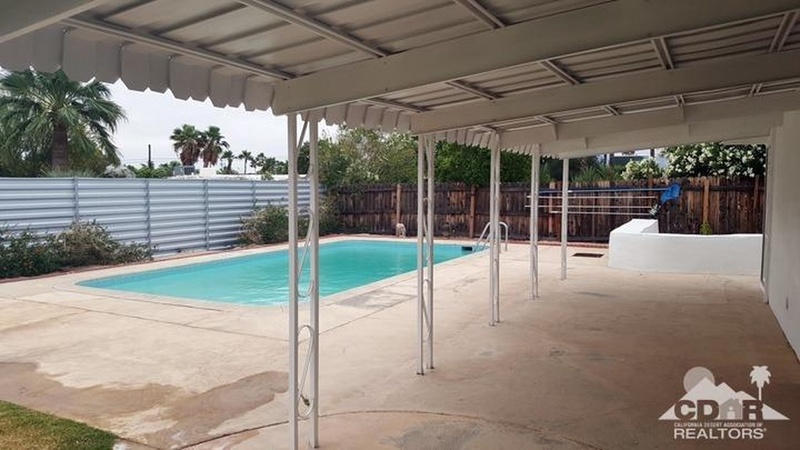 The backyard is an open blank slate, with its original 15’ x 30’ Alexander swimming pool situated along the southern half of the yard. A vintage covered patio sits off the living and dining rooms, while the rest of the backyard is patchy turf. 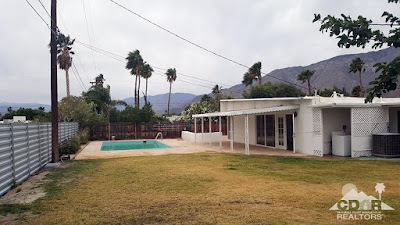 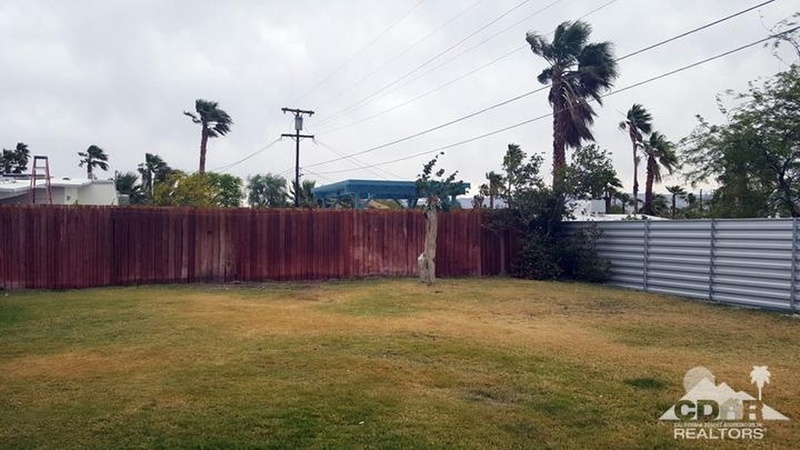 This is an incredible opportunity to restore or renovate an expanded midcentury Alexander home in Palm Springs, we can’t wait to see what becomes of this one.